If you are a Twitter follower, you’ve probably noticed a few retweets from me from Women’s Running magazine. A few months ago, they reached out to our Rock ‘n’ Roll Ambassador fearless leader to see if any of us would be interested in working with them to promote some articles and print subscriptions. 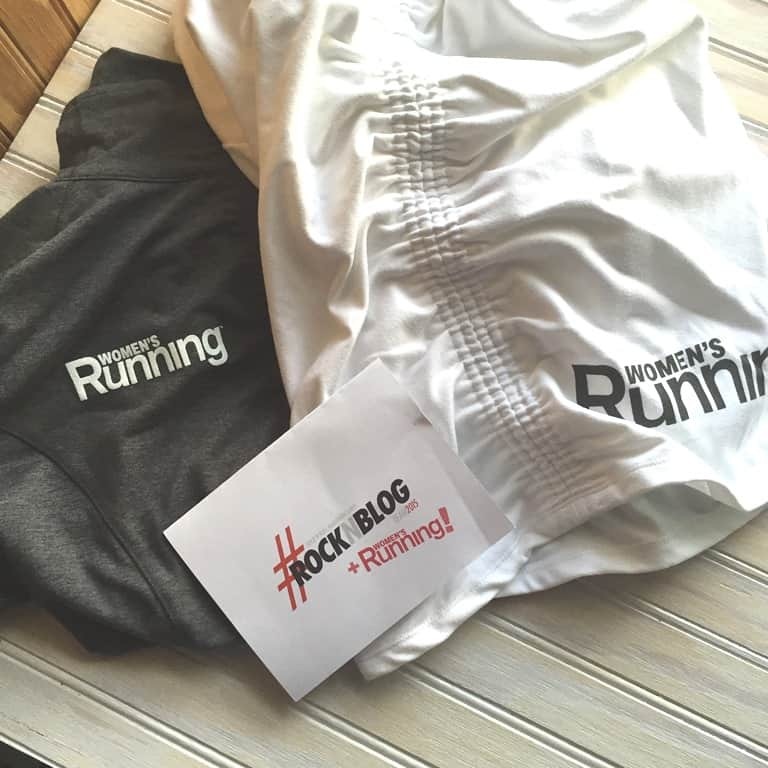 As a long-time fan and subscriber to Women’s Running, I applied as fast as I could and I was one of the Ambassadors chosen to work with them. Just as with the Rock ‘n’ Roll Ambassador team, it is a huge honor to be named with Women’s Running. As a “thank you”, this surprise gear delivery came last week. Another fantastic and thoughtful note along with 2 running tops were included. Now for some words for Motivation Monday. I don’t know about you, but my life is either a vicious cycle or functional cycle. Right now, I’m finally pulling out of the vicious cycle of feeling bad emotionally, eating foods that do NOT work for my body but are highly addictive and “feed” my emotions, dealing with the resulting brain fog, not having the energy to workout out (morning or night) consistently, feeling guilty or bad about not taking care of myself, repeat the whole thing. What has worked GREAT for me in the past: Getting to sleep at a normal time, going to morning CrossFit before school, arriving at school full of energy and endorphins to handle a classroom full of rambunctious kids, wanting to eat food to FUEL my body instead of eating junk to FEED my emotions, feeling great at 5pm so I can run a few miles to flush away school stress, feeling great and full of energy to cook a good meal, making leftovers for an awesome lunch the next day, feeling tired at a normal bedtime, laying out my clothes, sleep, wake, repeat. So how do I quit the vicious and embrace the functional? Easy. Make a plan. Make a decision. Stick to it.